If you are interested in LASIK eye surgery for vision correction, you may have wondered about the issue of "blade versus bladeless" regarding how the procedure is done. What do blade and bladeless mean? And what are the advantages and disadvantages of each type of LASIK procedure? cuts a thin, hinged flap into the eye's clear surface (cornea). The flap then is lifted for application of laser energy that reshapes the eye for vision correction. Replacing the flap in LASIK promotes faster healing.
) instead of a blade. The first FDA-approved bladeless flap-making system in the United States, called IntraLase, was acquired by Advanced Medical Optics (AMO) in 2007 and integrated into the company's CustomVue excimer laser platform — which now is marketed as iLASIK. Besides IntraLase, other bladeless LASIK systems include zLASIK (Ziemer Ophthalmic Systems), Femtec (2010 Perfect Vision) and Visumax (Carl Zeiss Meditec). Femtosecond laser systems often are marketed as "bladeless" or "all laser" LASIK, although eye surgeons favoring more traditional microkeratomes might argue that both procedures involve penetrating the eye's surface. In this eye surgeon debate, Brian Boxer Wachler, MD, of Boxer Wachler Vision Institute in Los Angeles, and Vance Thompson, MD, Sioux Valley Clinic refractive surgery director (Sioux Falls, S.D.) and assistant ophthalmology professor at the University of South Dakota School of Medicine, help clarify opinions about the pros and cons of blade versus bladeless LASIK flaps. These eye surgeons use both techniques but differ in their opinions about which method should be emphasized in uncomplicated LASIK procedures. Both are on AllAboutVision.com's editorial advisory board. Some LASIK surgeons favoring microkeratomes have objected to the term "bladeless" in IntraLase advertising. Should the term "bladeless" LASIK be used? Thompson: I agree with that term. It's very important that there be truth in advertising, and the truth is that no blade is used. Really, though, this technology typically is referred to as "all laser" LASIK. Boxer Wachler: Technically IntraLase is bladeless. So the term is probably reasonable. Some people weren't happy about the use of the word "bladeless" because this implies that the microkeratome, which uses a blade, is scarier to the patient. This was perceived by some as "hitting below the belt" because of the implication that a microkeratome is somehow more risky, when in fact it's not. Dr. Boxer Wachler, what are the advantages of modern microkeratomes (blade) compared with IntraLase (laser) as LASIK flap makers? Boxer Wachler: I'm for whatever is best for the patient, but I do use the microkeratome much more often than I do IntraLase. Microkeratomes make the procedure go so much faster and are much more comfortable for the patient. Suction in a microkeratome procedure lasts about three seconds, whereas suction using IntraLase lasts about 15-20 seconds at its fastest. Also, you use less suction on the eye with a microkeratome. I prefer patients to be as comfortable as possible, which is why I prefer the microkeratome. Dr. Thompson, what are the advantages of IntraLase (laser) over microkeratomes (blade)? Thompson: I use both, and I counsel patients about both. approved the laser flap maker (IntraLase in 1999), the blade or microkeratome flaps were the main source of my vision threatening complications in LASIK — whether they were free caps (unattached flaps), partial flaps, or buttonholes (improperly formed flaps) or an epithelial slough (damaged eye tissue). [See also: LASIK risks and complications.] I just found that, even though the vast majority of blade flap cases went well, when they didn't go well — it was ugly. So I liked the idea of a laser flap maker. I don't have to worry about buttonholes, partial flaps, and free caps. It just brought so much more inner peace to an extremely important part of the procedure, which is creation of the flap. It also brought more inner peace to my staff. Our operating room days now are much nicer. What is your opinion of the general quality of flaps created with either blade or bladeless LASIK? Thompson: Flap predictability is better with a laser flap. Should you choose LASIK with a flap created by a laser (the IntraLase at left) or a microkeratome (such as the AMO Amadeus at right)? Boxer Wachler: I can share my own personal experience. I have had not had a free (detached) flap occur in five years while using modern-day microkeratomes. Buttonholes (buttonhole shaped flaps) happen rarely, but these have occurred with the IntraLase as well. In other words, flap complications are rare, but they can occur with either microkeratome or IntraLase technologies. The most important aspect is that the patient is in the hands of an expert surgeon. Remember, we are talking about tools, and tools are only as good as the surgeon who is using them. It's like Tiger Woods and a weekend golfer who both use the same top golf clubs. Who do you think will get better results with the same golf clubs? Thompson: I have not heard of a buttonhole flap occurring with IntraLase. I suppose any surgeon making a flap with a blade or a laser could make a buttonhole if they are rough in lifting the flap. But a laser does not make a buttonhole, because you get the same thickness flap with a laser no matter what the curve of the cornea is. With a blade, the more curved the cornea is, the thinner the flap centrally. This increases the chance of a buttonhole dramatically. What would you tell patients about possible complications involving blade or bladeless LASIK? (swelling) of the flap. This is because of all the additional laser energy required to make the flap. This can delay clarity and crispness of vision from a few days to a week. That does not occur with a flap made with the microkeratome. Thompson: I would tell a patient that the risks of a partial flap or a hole in a flap or a traumatic flap complication would be higher with a microkeratome and less with a laser. A blade flap makes a thinner flap in the center, which means it is thicker on the edges (meniscus). A laser flap is the same thickness at the center as it is at the periphery (planar). Studies have shown that there can be a higher rate of inducing higher-order aberrations (vision distortions) with blade flaps versus laser flaps because of the flap shape, and this has been substantiated in multiple clinical trials. Boxer Wachler: But with IntraLase, there is an issue of transient light sensitivity. It's a low risk factor, but a unique risk to the IntraLase. Thompson: What is a vision-threatening complication, and what is a hassle? Transient light sensitivity is far less of an issue than a hole in the middle of a flap. Boxer Wachler: Holes in the middle of flaps have occurred in IntraLase flaps as well. Is there ever a circumstance where you would use the blade or bladeless LASIK approach that ordinarily would not be your first choice for creating a flap? Thompson: In complicated cases where the patient has had previous refractive surgery and has had a blade flap complication, I would not use a laser flap. In corneal surgery, water bubbles that form during laser flap creation can track through the previous incision made by the blade flap and get between the cornea and the focusing lens of the laser. That's where I sometimes have to tell patients who have had blade flap complications that I need to try to fix them with the same technology. Also, if cost is a real issue for someone and they are willing to accept the increased risk with blade flaps, I will do a blade flap for them. There's about a $300 per eye difference. Thompson: The blade flap maker raises the intraocular pressure far more than the laser flap maker, such that many feel it is safer to perform a laser flap in glaucoma patients. What would you tell patients about the general safety of blade or bladeless LASIK procedures? Boxer Wachler: The reality is that LASIK is one of the safest procedures in all of medicine, with the microkeratome or with the IntraLase. Thompson: As far as clinical significance, it can be tough to tell the difference between a well done blade flap with modern microkeratome technology and a well done laser flap. Complications are the main difference between these two technologies. Of the people who see me for a second opinion when their eye has been damaged by LASIK, 99 percent have a blade flap complication. 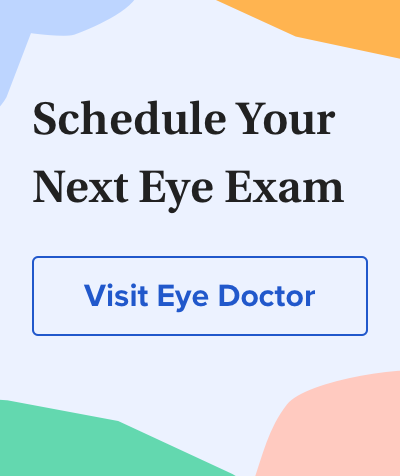 Note: Both Thompson and Boxer Wachler emphasize the importance of using a skilled, experienced surgeon for the best outcomes in any LASIK procedure.